Reading Assistant software is a guided reading tool to build fluency. By virtue of the speech verifier, the voice recognition reading software listens to students reading aloud. Monitoring for signs of difficulty, which include hesitations, silence, mispronunciations and other cues, the reading intervention program provides assistance when students stumble or get stuck. Reading Assistant uses an “intelligent intervention” methodology that balances the need for support — offering the correct pronunciation of a word — against the impact that interruptions have on a student’s reading progress. When the voice recognition reading software detects a student is struggling, it will intervene by pronouncing the word or phrase. Students can also get help by accessing our vocabulary resources. Key vocabulary terms contain a definition, a context specific sentence, and often a picture clue. The Reading Assistant software can be adapted to individual needs. For instance, the program allows the teacher to set how strictly each student’s pronunciation should be evaluated for correction. Intelligent intervention is tuned to ensure that students have time to self-correct. The program indicates to students that they missed a word, and allows them to repair before pronouncing the word for them. As a teacher, you can set the amount of time allowed students for repair. Building the voice profile: customized, personalized, and adaptable The enrollment process is simple. The software will prompt students to read ten sentences aloud the first time they use the product. Students’ readings will provide the speech verifier with sufficient information to adapt to their voice and pronunciation. Using the data collected, the software analyzes how students pronounced each word and creates a personal voice profile. The application stores the voice profile and makes it available at any computer. 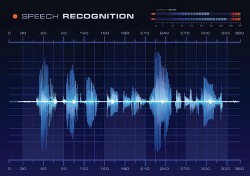 Unlike traditional voice-recognition systems, Reading Assistant voice recognition does not attempt to match the closest word to the user’s utterance but makes sure that the student pronounced the correct word from the text. Improvements in technology have meant that our voice recognition reading software has now reduced the number of false negatives — where the software corrects a word that was pronounced correctly — and false positives — where the software does not correct a word that is mispronounced, to around 1.5% in 6th grade. This level of errors compares favorably to correction error rates made by teachers when listening to a student reading out loud. 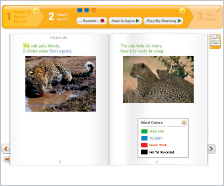 Learn more about how Gemm Learning provides Reading Assistant at home.